Published in the Shortlist section of The Sydney Morning Herald, August 28. 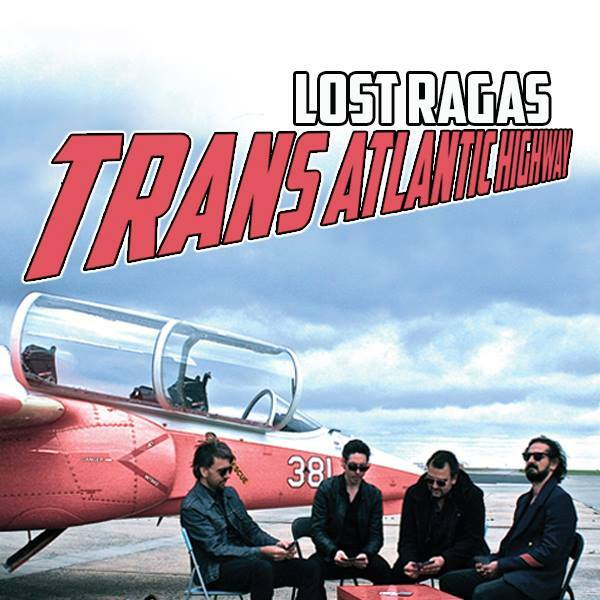 What began as a side-project (resulting in one of the roots albums of the year in 2014), has blossomed into its own entity, Lost Ragas dropping their second cut in as many years, the unimpeachable Matt Walker leading the way once more. Picking up where they left off, with Trans Atlantic Highway this quartet (Walker, Shane Reilly, Roger Bergodaz and Simon Burke) produce a deep and dark country-tinged rock record that shimmers with menacing intent as they mine the darkest corners of the respective songwriters’ minds. Wavering pedal steel melds with minimal percussion to create backdrops Guy Clark and Dale Watson would covet, which when you add in muscular guitar and Walker’s mournful vocal, results in another astounding album from these unassuming maestros. Published in the Shortlist section of The Sydney Morning Herald, Friday August 14. Perhaps best known as guitarist for Gov’t Mule and, for a long time, The Allman Brothers Band, Warren Haynes, as is evidenced by his third solo effort, isn’t just about high-octane southern blues rock. The man grew up in North Carolina and from a young age was exposed to the varying shades and styles of bluegrass music. 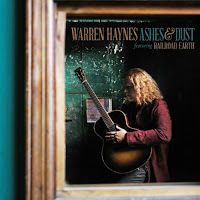 Ashes & Dust, where Haynes teams up with longtime friends, newgrass outfit Railroad Earth, is testament to his understanding of this old-time American music. Given Railroad Earth are newgrass however, this is somewhat of an exploratory record, certainly not traditional or revivalist – they have a drummer, after all. Haynes switches between acoustic and his trusty Les Paul, on which he displays some tasty slide work, both of which combine with fiddle, banjo and bass to create some extremely interesting journeys into the Americana / bluegrass forms. Most of the songs are reportedly between ten and thirty years old, but they’re revived here with care and love. Published in The Good Life section of The Echo (Byron Bay), Wed August 12. Opening only a month or so ago, Elements Café, in Byron’s Industrial Estate, has hit the ground running. 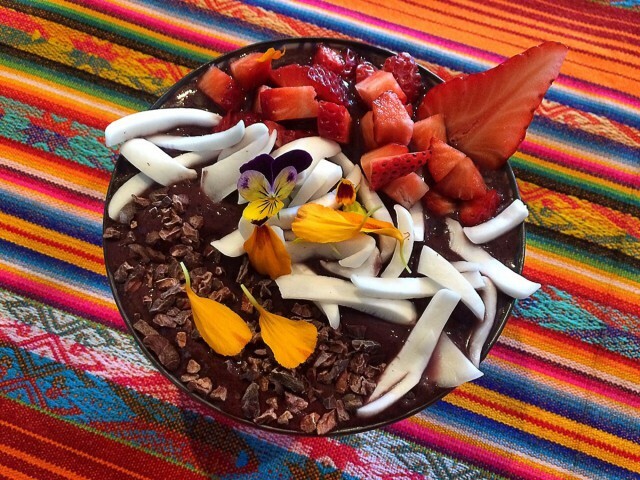 ‘Be The Hero Of Your Temple’ is their slogan, and it shows in their range of superfoods, organic and fresh, sourced from the local region and prepared with care by chef and owner Rafael Camargo. Tucked away inside the Extreme Mixed Martial Arts gym on Centennial Circuit, Elements stemmed from Camargo’s market stall, which became so popular, the next step was obvious. “We’re [now] able to bring more to the health industry, I can add more and manage more, rather than just being a single [stall] at the market,” he explains. The menu boasts such items as Savage Green Lasagna, with roasted zucchini and eggplant layered with green Napoli sauce and fresh mozzarella; the Sun Dancer, featuring Amazonia raw multi and maqui berry, blended with organic almond milk, mango, banana and blue berries, topped with activated gluten-free granola and fresh seasonal fruits; and hemp protein sticks, made with organic cacao butter, organic raw cacao, organic hemp protein, organic hemp seeds, organic coconut nectar and fine Celtic salt. “I’m from South America, Brazil, so I have that influence, which is what is making it a bit unique, I think,” Camargo says on Elements’ point of difference in a Shire rife with organic food cafes. “We’re putting our [own] touch into the little café.” With plans to bring in local live music as well, Elements is a feast for all the senses. Published in the Shortlist section of The Sydney Morning Herald, Friday August 7. 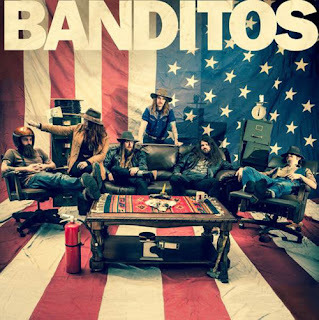 Originally from Birmingham, Alabama, but now based in Nashville, six-piece Banditos are somewhat of a musical enigma. Possessed of a raw power, rough and grimy around the edges, their country punk ‘n’ roll carries with it an undeniable intelligence, all of which combines on their eponymous debut to near perfection. Songs like The Breeze and Still Sober (After All These Beers) swing with a Jon Spencer-like verve, all reckless abandon and country twang ‘n’ grind, while Golden Grease and Old Ways sway slowly, shimmering and shambolic, Mary Beth Richardson’s vocals on the latter giving Janis Joplin a run for her money. Tying it all together is the fact all songs, whether burning down barns or aurally caressing you, are intricately arranged and executed. 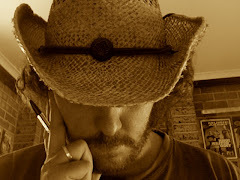 Amongst the grunt is a solid understanding of how country music works and what it means, which gives the music idealistic power, behind the wall of guitar/bass/drums/banjo sound. 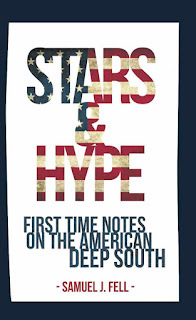 Gritty vocal harmonies only add an extra dimension.